One of the first designs we made over 25 years ago. Simple but elegant wings sweep towards the blade. 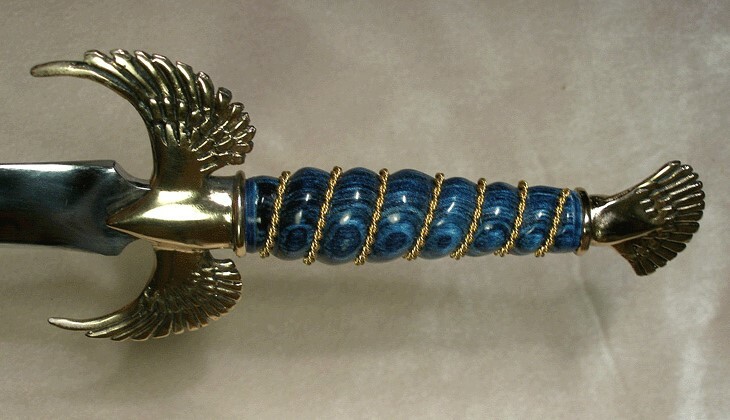 The pommel is stylized tail feathers. Each knife is hand-made to your specifications, with many options available.